For starters, I finger detangled my hair in sections. First, I parted my hair from ear to ear with my fingers. Then I parted my hair again straight down the middle. From there, I divided each of those four sections into two sections; making it a total of 8 sections. After finger detangling a section, I two strand twisted it. Since my hair was somewhat moisturized to start with, detangling was easier that normal. However, it still took a total of 2 hours to detangle. I was able to watch one entire movie and half of another one before I finished finger detangling. If anyone has detangling tips, please let me know. I co-washed my hair with HECC (Herbal Essences Cleansing Conditioner...check out my review of it HERE) and concentrated the conditioner on my scalp only. Next, I took my tangle teezer and gently massaged my scalp with it to lift dandruff. Next, I rinsed my hair in sections. During this process, I also finger detangled a little more as the conditioner worked its way through my strands. I deep conditioned with Miracle 7 deep conditioner and concentrated on my ends. Next, I piled my hair on the top of my head and secured with loose elastic without doubling it. This makes it easier for the heat to reach the ends of my hair when I'm deep conditioning with my heat cap. Then I covered my hair with a plastic bag. As for styling, I used Coconut Oil and Shea Moisture's Curling Buttercream as my leave in and styling products. I styled my hair with a twist-out AGAIN. Lol, I style my hair the same way every week but it's very easy to keep up with. However, I used larger twists this time to achieve a chunkier twist out. Then, I rolled the ends of my hair on perm rods. In total, I had 9 twists. 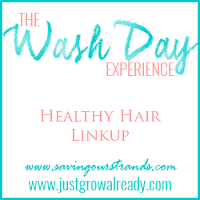 8 comments on "Wash Day"
Your hair looks very moisturized. I love the curls. Your style turned out well, I also use the shea moisture curling buttercream as my styler. Thank you Lizzy and I love that kids line from Shea Moisture! Great hair, even greater woman! Love you posts babe! 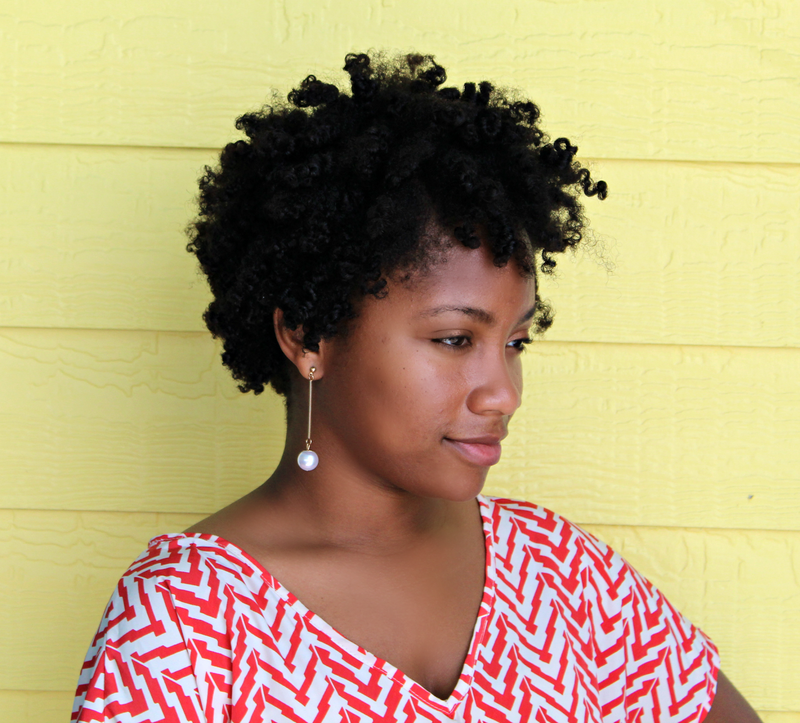 OMG your curl pattern is gooorrrgggeeeeooouuusssss!!! Definitely stick to what you're doing because you're killing it! Thank you for the encoragememt and motivation KLP!